An effective three-minute YouTube video shows how one California county's government leaders teamed up with Google to make better matches between foster kids and families. The keys were data, algorithms and the cloud. 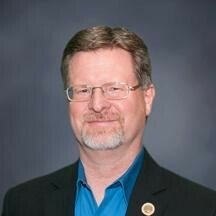 San Joaquin County Information Systems Director Jerry Becker has won numerous statewide and industry awards for IT leadership, and he’s currently the board president of the California County Information Services Directors Association (CCISDA). As such, he’s not a man prone to hyperbole. So when he gets personally involved in — and visibly passionate about — a government IT project, it’s noteworthy. And when that project is portrayed in a remarkably effective three-minute video on YouTube, that project and that video are worth watching. The project the CIO is talking about is known as the Perfect Match — a partnership that included San Joaquin County and Google Cloud to help place foster children with the foster parents and families with whom they are most compatible. In essence, the project is taking reams and reams of paper files and digitizing them, uploading them to the cloud, and then using algorithms to match the specifics of a given child with the particulars of various foster families. The idea isn’t just to place a child in a home, but to place a child in the right home. The algorithms factor in dozens of data points about foster children and foster families — age, scholastic and religious background, personality traits and many other attributes that make a child an individual — and then calculate the best match. To fully understand Becker’s passion — and that of Nino, Miller, Pride-Polk and the other county executives and department heads who play a role in the Perfect Match project — one should watch the YouTube video that chronicles the story. Becker said that although Google was essential in helping with the logistics of cloud and algorithms, the company’s biggest contribution was to show county leaders what’s possible by thinking differently about a problem.